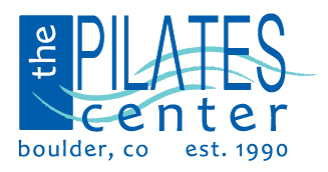 Our comprehensive classical Teacher Training Program and Formal Lecture Series are online at iTPC: online Pilates teacher training . Since we launched our Teacher Training Program in 1991, we have made an effort to reach as many people as possible. Our mission to heal the world through Pilates means training other teachers to help us empower people to transform their health and “Return to Life”. Over the years we have adapted our training program and our Formal Lecture Series to be based online, and therefore more accessible to everyone. We have an online management system that has all of our training program requirements embedded within it, including our Formal Lecture Series. And with the help of our Host Advisors and Licensed Teacher Trainers we are able to make our program accessible from anywhere in the world. iTPC includes access to our Formal Lectures Series taught by Amy Taylor Alpers and Rachel Taylor Segel, as well as our Teacher Training Programs online. You may purchase individual exercises, series of exercises, lessons divided by apparatus, level, and discussions on various topics such as the History of Joseph Pilates all in our new online program. You do not need to be enrolled in a training program to access these videos. Join us in our mission to bring quality Pilates teaching to the entire world.